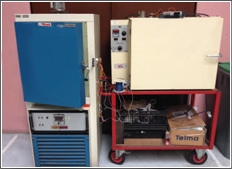 Thermal Tests - Testing Laboratory - Telma S.A.
Today, thermal cycling tests are indispensable to validate electronic interfaces, electrical insulators or other components and full systems. In the Telma Testing Laboratory, we can generate -30°C to +300°C temperatures – cycled or not – with the option to measure thermal or electrical parameters of your products on site, whether they are controlled or not. 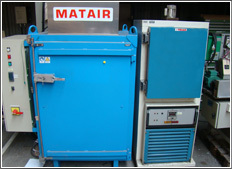 A specially reinforced heat chamber allows for (hot only) automatically cycling the heaviest components: up to 300 kg.